Since I am doing the Modified challenge, I will be working on 16 UFOs or WIPs on days 16-31. 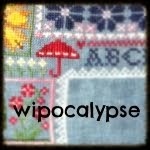 All of the projects will be worked into the rotation for the WIPocalypse. 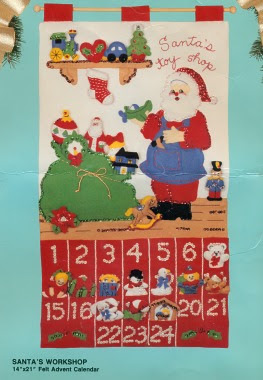 16) Santa Claus (Holiday Pick-Ups) 4"x 9" (75% done) - This was a stocking stuffer kit last year. This project became a UFO because it is crazy. 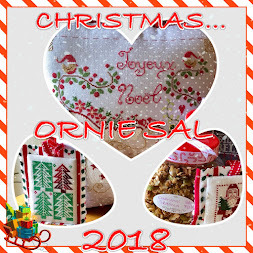 The pattern and floss do not match the picture on the front of the package - I have worked on it a bit this year & am making it work. 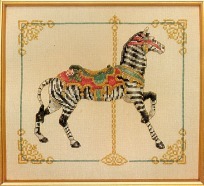 17) Carousel Zebra (Just Cross-Stitch) 8-1/4"x 9-1/4" (45% done) This project became a UFO because I ran out of the gold blending filament needed to complete it. I'm stocked up & have started working on this again. 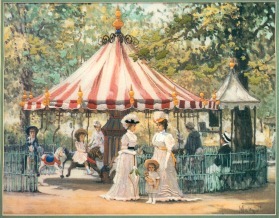 18) Her Majesty's Carousel (Dimensions) 16"x 18" (80% done). I don't remember why I stopped working on this one. It is pretty close to being finished. 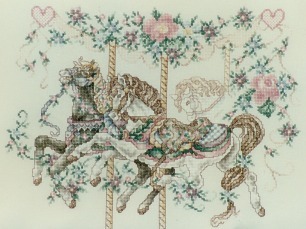 19) Summer Carousel Horse (Just Cross-Stitch) 14-3/4"x 18" (40% done) This was my first project worked on linen. Lots of color blending. Progress felt so slow that I just set it aside. 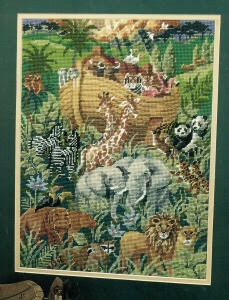 20) Ride to Dreamland 1993 JanLynn kit 14-1/4"x 10-3/4" on 14 ct Aida (20%) This project had been tucked away in storage for at least 10 years. When I found it last week, it had some bad spots on it (no idea how that happened). 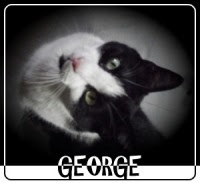 Anyhow, I did a good soak and cleaning on it. It looks much better & is back in rotation! 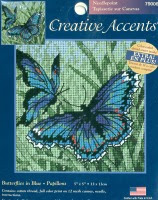 21) Butterflies in Blue (Creative Accents) 5"x 5" (98% done) This only needs outlining done. 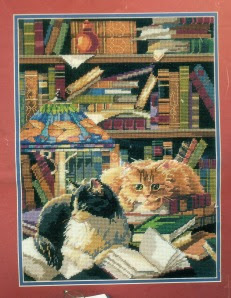 25) Creative Cats (Dimensions) 5"x 7" (25% done) This was a gift. I am just not a huge fan of "printed" kits. It is cute and I will finish it. 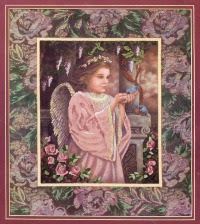 26) An Angels Touch (Sunset) - printed 14"x 16" (10% done) This one was also a gift & a printed kit. It is pretty and I will finish it. 27) Tiger Lilies and Roses Pillow (25% done) This kit was a gift. 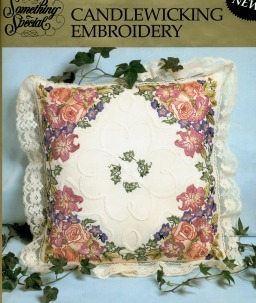 I actually like doing the candlewicking embroidery & have finished a couple of these pillow kits in past years. I didn't even remember having this kit or working on it. 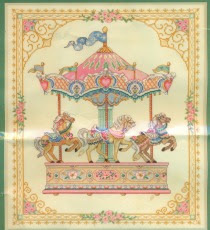 28) Carousel - printed embroidery/crewel (10% done) Another gift. Another printed kit. I hate stitching with the wool threads, but it is a lovely picture and I will finish it. 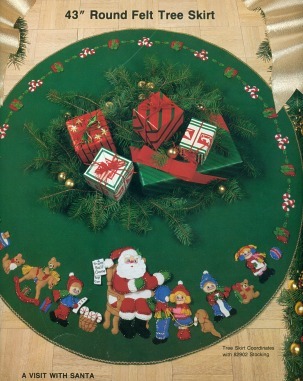 29) Xmas Tree Skirt (30% done) This was a Christmas gift from the year 2000 (just prior to my moving). I found it in storage & will finish it before next Christmas. 30) Advent Calendar (30% done) This was also a Christmas gift from the year 2000 (just prior to my moving). I found it in storage & will finish it before next Christmas. Whew! That is my list. 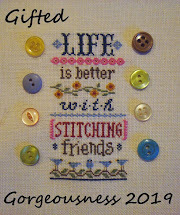 I sure hope that I will be able to cross many projects off as the year progresses. All of your WIPs for Days 16-31 are beautiful! It will feel great to get them finished and out of your UFO pile. 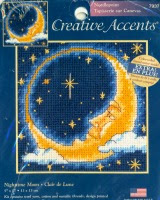 I am also working on one printed cross stitch kit, where I only stitch partial areas. It will look pretty from a distance, but I still feel like it's cheating! Thanks. I know what you mean about feeling like it's cheating .... but as you mentioned, any WIP or UFO that I finish will feel wonderful & the whole point is to finish these projects! Wow, you have a lot of wonderful projects on your list! Love the season samplers. And you reminded me I also said I will work on 15 new/15 WIPs, thanks!